Move-in ready! 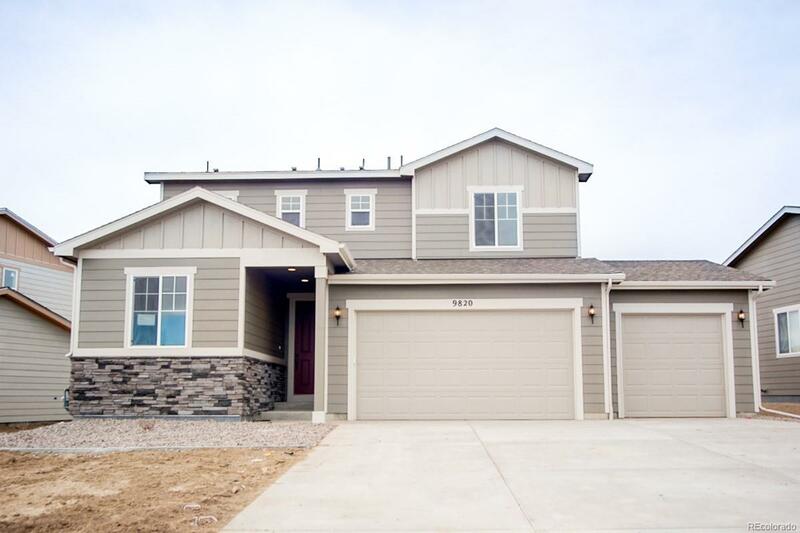 This two story Citrine plan has four bedrooms, and a nice open layout for entertaining on the main level. At the front of the home is a bedroom with a 3/4 bath, which is perfect for guests. At the back of the home is a spacious great room with a 12' sliding glass door that leads out to a large covered patio with views of Pikes Peak. You will also find the kitchen that features a center island that overlooks the great room, as well as a dining area. Upstairs, you'll find three bedrooms, including the master suite which has a 3/4 bath and walk-in closet. Large laundry room is upstairs too. Attached 3-car garage, professional landscaping, and sprinkler system included! Stop by the sales office today for more information!